The Crested Butte Town Council, sitting as the town Planning Commission, approved the Slate River annexation Major Subdivision Sketch Plan application with conditions on Monday night. The move will now allow the application of a preliminary plan. The public hearing held Monday that included a 368-page packet, began the long public process of the town to annex 14 acres of land just north of town across from the Gas Café. The property will be carved off the Cypress Foothills Aperture subdivision that is located in the county. 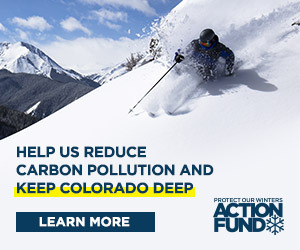 It could provide opportunities for public uses such as river access, open space, a potential public safety complex that could house the Crested Butte Fire Protection District and Search and Rescue, parcels for affordable housing, a potential school facility or health clinic and a sledding hill. The sketch plan showed six public parcels along with 1.5 acres being held onto by the developer comprising the 14 acres. The developer parcel will allow for six private home sites that will be restricted to a maximum of 2,800 square feet and must go through the Board of Zoning and Architectural Review (BOZAR) approval process. Town planner Bob Nevins outlined the sketch plan and explained that the public parcels vary in size and hold open space, trails, dense affordable housing opportunities, and the public building opportunities. The old dump that was located on the property has been cleaned up to varying degrees, based on what use the parcel is planned for. For example, a deeper cleanup is required of a parcel that would hold a school building, compared to a parcel used for open space. Former town planner and current Crested Butte resident John Hess was the only member of the public to comment. He asked several questions about the project. He also expressed the need to protect wetland buffers in the project and to ensure affordable housing, and questioned the logic of placing a school on the north side of town where parents would be forced to drive through town to get to it. Mayor Jim Schmidt agreed with the school location concern and said Gunnison Valley Health had approached the town about possibly using some of that land for a health care clinic. Yerman said the staff had opened that parcel to myriad potential public uses. The planning commissioners had little comment on the application as well. They agreed with the staff recommendation for conditional approvals that included: requiring an easement through the property for water and sewer lines to the property to the north that might eventually be developed; limiting any fence height in the subdivision to no more than 42 inches to address wildlife concerns; obtaining a formal boater access easement and right-to-float easement for the public; and not including a maximum lot size on the parcel that includes the potential affordable housing. The commission then added a few more conditions including requiring any streets to be named after area mountains or other physical features; adding language that further protects the wetland buffer zones; and developing deed restrictions to protect sensitive wetland areas located next to the potential fire station and the Slate River to be recorded when the property is transferred. That would make it clear a steep section of the property above the Slate River is protected from any development in perpetuity. With two commissioners out of town, the Planning Commission voted 5-0 to approve the subdivision sketch plan and allow for the application of a preliminary plan. If all goes smoothly, it is expected that subdivision and annexation process would be complete in October.